The South definitely had some bigger scores for the QBs. 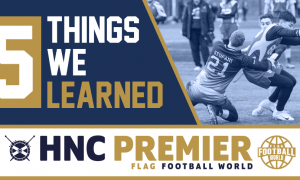 At the podium, three of the UK’s top gunslingers were there – here’s the top 3! 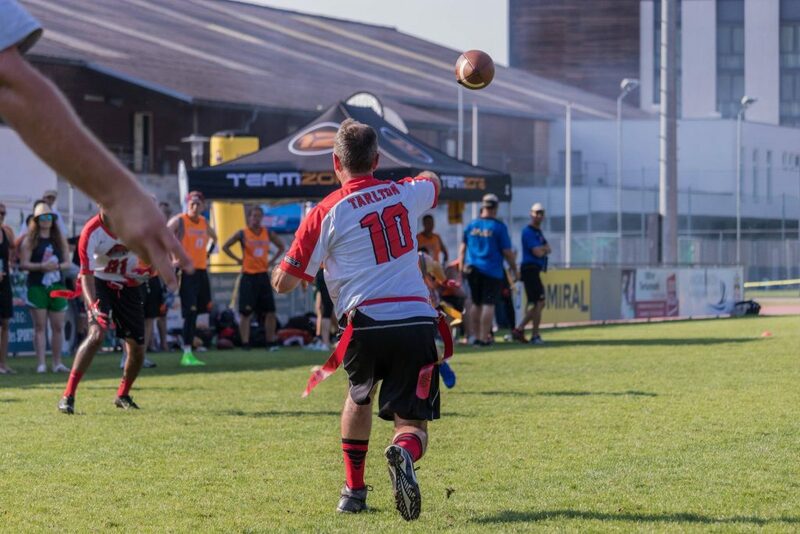 Calvin has been in awesome form in 2018, as his London Rebels finished third in the UK. 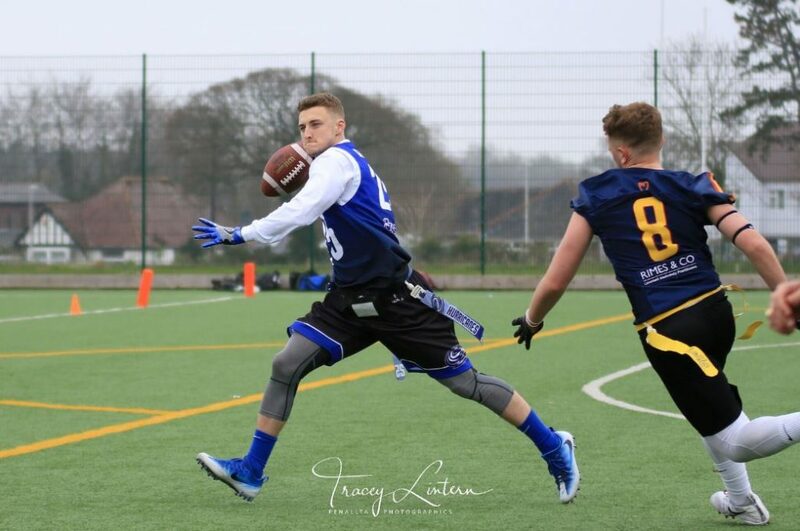 While his supporting cast hasn’t always been consistent, he’s been on fire throughout the season, being involved in a number of shootouts, and kept his team firmly cemented as one of the favourites for the Britbowl crown. He’s unfortunate to play with so many other talented arms in the South, as his points total would have been good for a comfortable lead in the North. 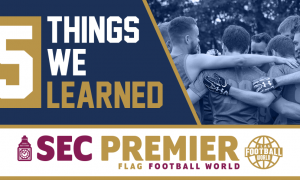 Falling agonisingly short of the top spot is Joe Cotterill, who returned to the QB position after plying his trade as a receiver for the past few seasons. His insertion into the role lead to a upturn in the Hurricanes’ points output and overall dominance of the SWC. Before the season we’d have argued they were due to be challenged. This season? They went undefeated in divisional play, losing only to the Rebels and Buttonhookers in the cross-conference matchups. Joe’s 103 TDs on record are good for the top in the whole of the country. Just pipping Joe to the top spot is Vince, who makes it 2/2 in this category! 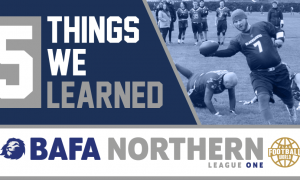 His side have romped their way to back-to-back Britbowl titles, and he shows no signs of slowing down. What’s probably most impressive about Vince, is that he’s at his most lethal when the lights are brightest. In two British Championship finals, he hasn’t been stopped on a single drive. In the cross-conference games, his Buttonhooker offence were in imperious form, scoring at will. Vince avoids negative plays well, taking only 3 sacks (best in the league) and throwing 7 interceptions (again, best in the league). He’s efficient from the 1XP range, but he’s got 16 2XPs thrown this season also, as the gunslinger uses the tools at his disposal well to put opponents to the sword. 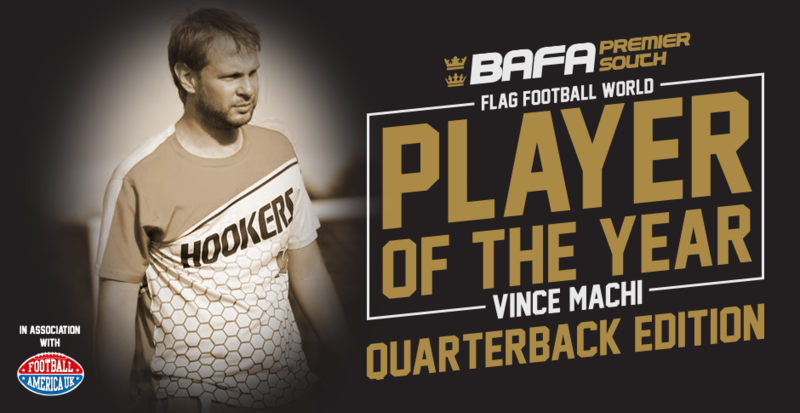 In partnership with our friends at Football America, the one stop shop for all things American Football, Vince will receive a custom hoodie for his efforts!